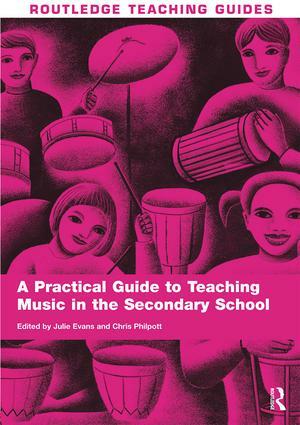 A Practical Guide to Teaching Music in the Secondary School provides valuable support, guidance and creative ideas for student teachers, mentors and practising teachers who want to develop their music teaching. Written to accompany the successful textbook Learning to Teach Music in the Secondary School, it will help you understand important current developments and explore new possibilities for teaching and learning. making connections with other subjects. Using practical examples and tasks, this book will help you critically examine the way in which children learn music. It is an invaluable resource for those involved in teaching music who are seeking to develop their practical and theoretical understanding.